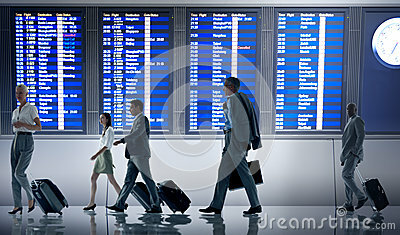 stock image of Businessman dragging carry on luggage suitcase at airport corridor walking to departure gates. stock image of Young man traveler with hat checking flight time, Asian passenger looking to information board in international airport terminal. stock image of Beijing, China - June 25, 2018: Airport worker in working clothes carrying trolleys for luggage.